The Bay City Railway Historical Foundation was established in 1997. Two of the organisation's goals are to promote an understanding and appreciation by the general public of railroading and railroad history, especially as it has affected Hamilton and south central Ontario. Secondly, to promote the preservation of railway-related artefacts of historical nature and to acquire such artefacts for the purpose of establishing a permanent railway museum. As the twentieth century was drawing to a close, several members became concerned that the role Canada's railways played in developing this country during the past 150 years might be lost if suitable artefacts were not saved to tell the story. Members of HOMES Inc. had already collected a few artefacts but they had never been publicly displayed in the past. It was decided that a significant area in our current location be designated as a permanent railway museum. At approximately the same time, Stelco Inc. Hilton Works was considering the disposition of their defunct Transportation Museum. The company was contacted and the collection of artefacts were removed from scrapped railway equipment, photographs from the company's photographer and miscellaneous manuals were donated to the new museum. Many of these items had never before been publicly displayed. 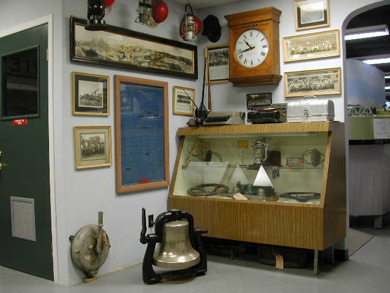 Two grants were approved, by The Ontario Trillium Foundation and the City of Stoney Creek Advance Funding Program to purchase glass cabinets to secure and display the smaller railway artefacts. The BCRHF also formed a partnership with the Toronto Hamilton & Buffalo Railway Historical Society. Their members had accumulated numerous railway drawings, photographs and artefacts, but they did not have a central location large enough to establish their own museum. 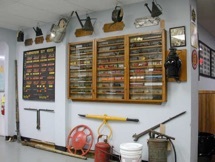 These items are now archived at the Bay City Railway Historical Foundation Museum and are accessible to members by contacting the TH&B Historical Society's archivists. The BCRHF is a charitable organisation recognised by the Canada Customs & Revenue Agency. The HO Model Engineers Society Inc. established the Foundation in 1997 as a permanent railway museum. To promote an understanding and appreciation by the general public of railroading and railroad history, especially as it has affected Hamilton and south-central Ontario. To promote the preservation of railway-related artefacts of historical nature; and to acquire such artefacts for the purpose of establishing a permanent railway museum. To construct, maintain and operate a permanent display railway in HO scale, accurately representing the operation and appearance of railways in south-central Ontario during the mid-20th century. To develop a library of books, publications and videos providing reference material on railways, both model and prototype, with special emphasis on the railway history of Hamilton and its surroundings. To provide regular public access to the exhibit with special emphasis on school and youth groups. As a charitable organisation, a Board of Trustees is appointed annually by the HO Model Engineers Society Inc. to govern the Foundation. Volunteer members meet weekly to interpret the display for visitors as well as work on the layout.